Resumes won’t get you a job. However, they will get you an interview, where you can showcase your talents. In order to get that far, you’ll need an excellent resume. You might be competing against people who have just graduated college and have probably had courses in resume writing, so be sure to take your time, use what you learned in the Transition GPS course, identify your skills and showcase what really makes you different. Jon’s Resume doesn’t sound nearly as impressive as Army Sergeant Major Jon’s Resume. You got out there and earned that rank, so make use of it! A title makes a big difference in how people view you before they’ve even had the chance to meet you. The title of your resume is your first impression, and you want it to make an impact. Simply listing your title and name lets employers know that you’re a veteran right off the bat, and that you were promoted, even if they don’t know how much you were promoted. That’s a lot of relevant information to have from the title of a resume, and not many civilians can compete. Resumes are simple and employers like them that way. Do not try to reinvent yourself by crafting a CV instead of a resume, unless you’re applying for an actual research position. A resume is simple. There aren’t many rules to follow, and a certain amount of differentiation can get you noticed. The rules, however, should stay. A resume is short — no more than two pages — and it breaks everything into sections. It should be scannable, which means that an employer should be able to glance at it and pick something out without having to read everything. 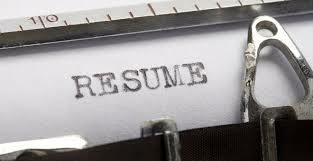 Remember, most people will be viewing your resume online first, not in print! If you can quantify something, do it! Add as many numbers as you can to your resume. You were in the military for X years, in this position for X time and it took you X long to get promoted which is X percent faster than average. You don’t want to just describe your job or what you did that everyone else did, too. Make sure you’re describing what you actually accomplished, not just what you were assigned. You need to discuss how you out-performed your peers, went above and beyond your assigned duty, and made a lasting impact for yourself or your team. Yes, the military has its own language and it differs by sector. All that means is that it’ll confuse any employer who actually reads your resume. Plain, simple English is all you need. If you need to, have someone with no military experience read over your resume and ask them to point out anything that sounds confusing. Simple terminology for you might mean absolutely nothing to a civilian. These have already been written and are a good place to go back and pull information from. Don’t copy and paste them into the resume, but take snippets if you need to. Use this information to try and get together a list of your strengths. Get rid of the technical information or any jargon in it, and make your accomplishments simple and numerical. Explain why they were important and who it was that spoke highly of you. Then, when you’re crafting your resume, you already have a list of accomplishments and skills. You can pick and choose which ones to highlight for different positions, and which ones are important to include for everything. It’s easy to skip this step, and incredibly vital not to. Spelling mistakes, bad grammar and incorrect punctuation can be a death sentence to a resume and so can a simple mistake like a mistyped email address or phone number. No employer is going to try and contact you over and over again. Once your resume is written, reread it. Then reread it again the next day. Then have someone else read it. Send out copies to your family and friends, asking for advice and suggestions. If you can, find a company and go in for a free consultation. You might be surprised at just how much you can benefit from working with someone who is supposed to get you a job. When it’s all said and done, a resume is only one step in the process of landing an amazing job. Once you’ve gotten a face-to-face interview, you’ll be much harder to turn down. Prepping Your Resume for Electronic Sharing – Keep it Simple! This entry was posted in General, Transition Advice and tagged career transition, job search, military to civilian transition, military veterans, resume tips, resume writing, transition advice by Karin Durkee. Bookmark the permalink. Naturally a military veteran doesn’t have any experience in resume writing. In that case, can he trust web services like transtutors, resumewritingguild to write a professional resume for him, that suits his personality? Thanks ma’am for your valuable suggestion.